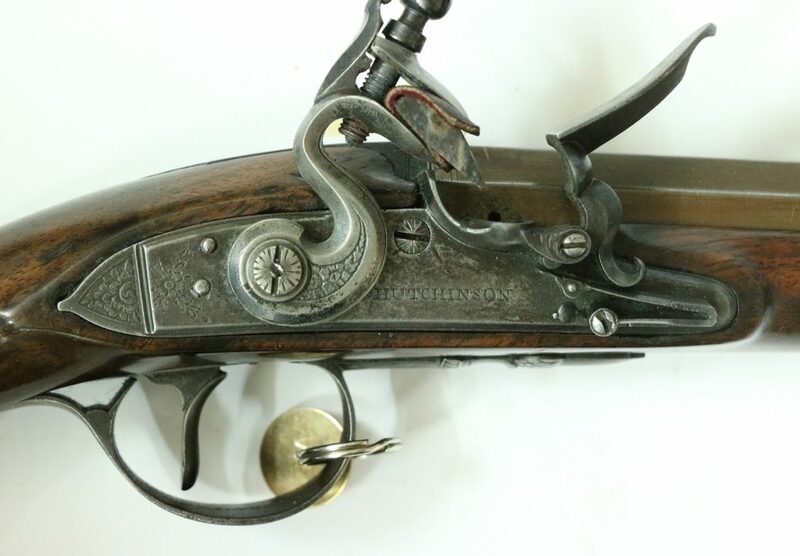 Here is a fairly typical Dublin duelling pistol of around 1780 to about 1795 (? ), quite well made and now fully restored and looking very fine. 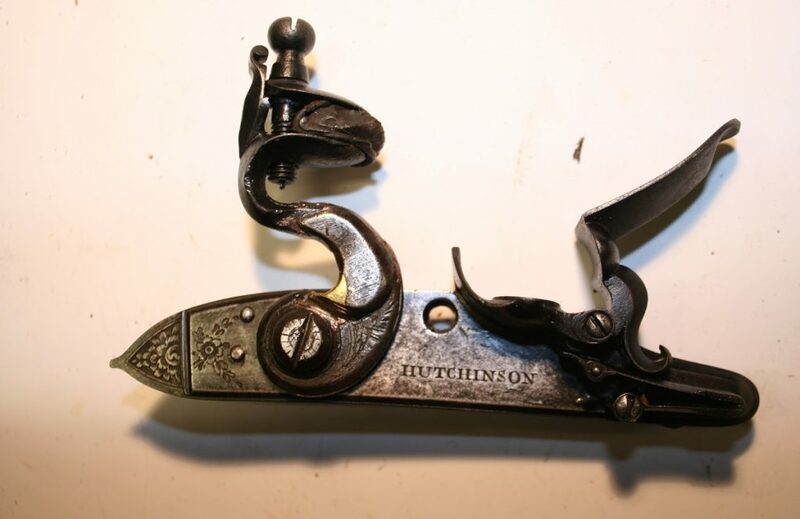 A little unusual in that the lock is fixed through the lock plate into the side of the false breech with one short screw and with a hook on the front end. Another unusual feature is that the frizzen is connected to its spring with a link, not plain or a roller as was common later.